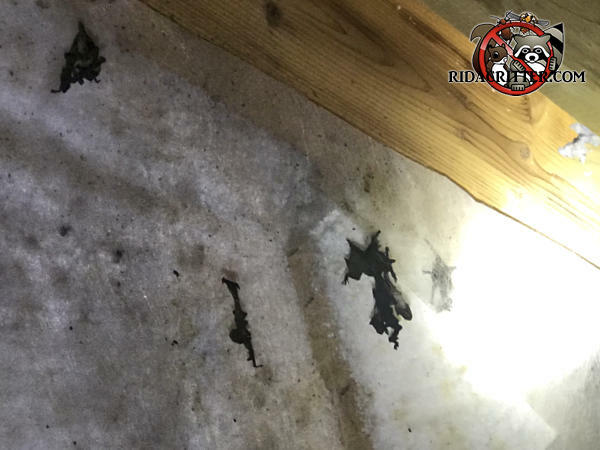 This looks like a relatively new bat colony in this attic in Roswell. That's a good thing. It makes the bat guano cleanup easier.